Dr. Cho attended Columbia University in New York and earned a Bachelor of Science degree in Chemical Engineering as well as a Masters of Science degree in Biomedical Engineering. He received his medical degree from the University of Pittsburgh School of Medicine and completed his internship and residency at St. Vincent’s Hospital and Medical Center of New York. 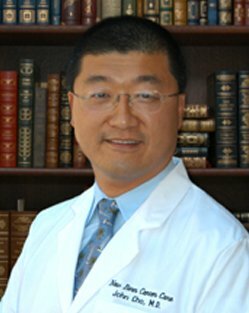 Dr. Cho completed a fellowship in Hematology at St. Vincent’s and a fellowship in Oncology at New York University Medical Center. He was part of the faculty practice at the St. Vincent’s Hospital Comprehensive Cancer Center for nine years and has authored several publications during his career. Dr. Cho co-founded CCHC New Bern Cancer Care in 2003. Dr. Cho is now affiliated with CarolinaEast Hematology/Oncology Associates.